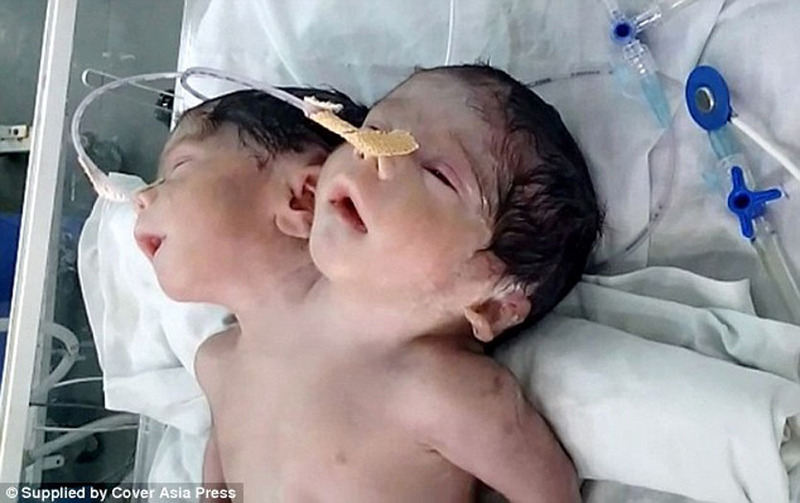 A baby boy bearing two heads has been born in India and has been described as a ‘miracle’ by doctors. ‘A baby boy with two heads was born yesterday in a healthy state,’ he said. ‘It was the couple’s first child, which probably explains why they didn’t see a doctor during the pregnancy and take extra precautions. ‘The operation is possible in some cases of conjoined twins but here it was nearly impossible,’ he said. But the baby’s mother and 24-year-old father decided to leave and take their son home despite the risks and warnings from hospital staff.